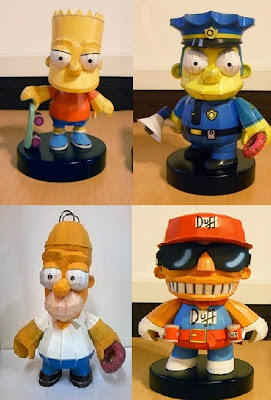 Maqueteandocraft has five characters from The Simpsons that you can download and build: Bart, Homer, Duffman, Chief Wiggum and Barney. 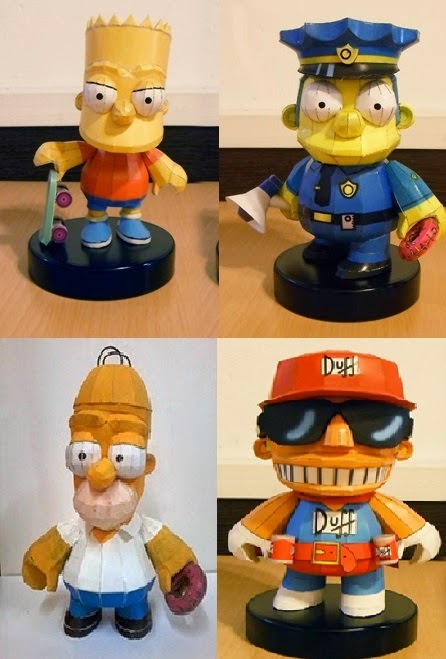 You do know that last one is Duffman not Barney, right? Barney's not on the picture but is also available for download.